Eye makeup is my favourite type of makeup. If I could only have one piece of makeup it would have to be black eyeliner, I love how I can totally transform my look with a slick of eyeliner. I’ve been doing the flicky eyeliner thing since my friend Natasha gave me a makeup kit for my 14th birthday & showed me how to apply eyeliner during Form registration at school (time well spent I think). 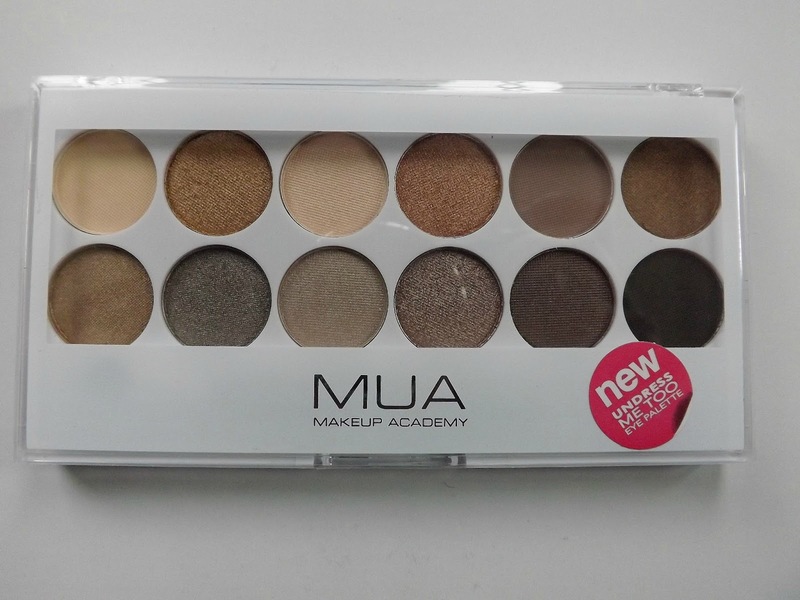 MUA undress me too eyeshadow palette £3: The other day I was having a bit of a browse in Superdrug and this eyeshadow palette caught my eye. 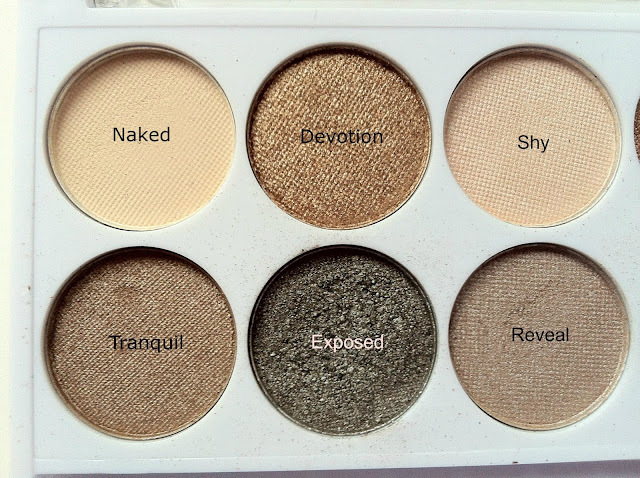 This palette has featured in a number of beauty blogs and some have said it’s a budget friendly version of the Urban Decay Naked palette. It’s was on special offer at £3 and I think 12 neutral shades for £3 is incredible value. I like that the eye shadows are of a decent size but the palette is compact enough to fit into my handbag makeup bag. It’s such a handy palette as you can achieve so many looks with it, from a neutral day look to full on smokey eye for the evening. I’m really loving the Lavish, Obsession and Exposed shades at the moment & have been really impressed with the staying power of the colours. Exposed I find is good dupe for Mac Satin Taupe. 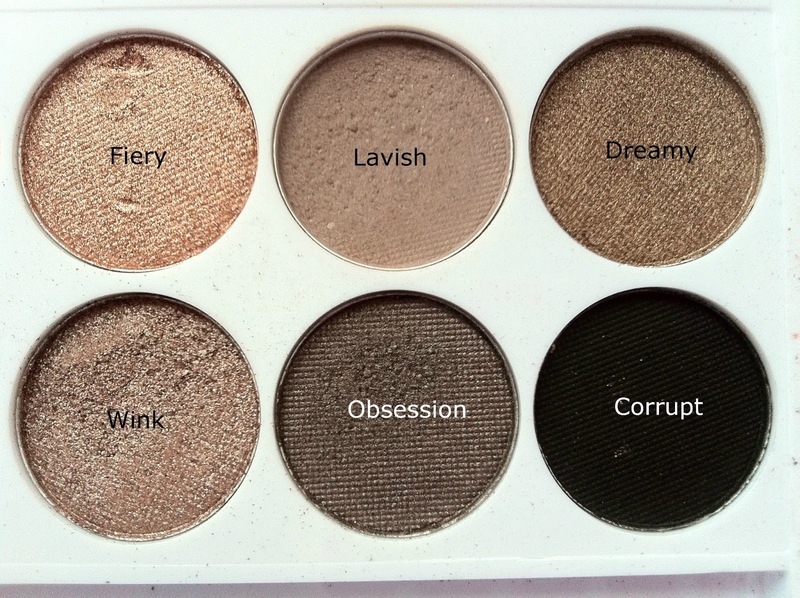 The only thing I wasn’t pleased with at all was the plastic applicator which comes with the palette, but I find that with most palettes and I prefer to use my own eyeshadow brushes in any case. Natural Collection lash building mascara £2: I picked up this mascara a few weeks ago having forgotten to bring my make up bag to work. I have to say I’ve been pretty impressed with this mascara especially for the price. The brush is quite a big bristle brush and the consistency of the mascara is quite smooth and creamy. It’s really easy to achieve a voluminous eyelash look with this and very importantly I found it maintains the curl all day and that hardly ever happens with me so I will definitely be repurchasing this one. MUA black eyeliner £1: I really love the MUA range. It’s budget make up but at a high quality and they bring out some fantastic ranges, my favourite being the Lovehearts range. I like this black eyeliner. The brush is sturdy but has felt tip precision so you can achieve a thin flick or build it up for a more dramatic look. I’ve found the eyeliner to be waterproof and rub-proof and lasts all day, but you can easily remove it with eye make up remover. A very good bargain buy. MUA eyebrow pencil £1: This is pretty amazing and I can’t believe it cost only £1!! The pencil is very soft, so you don’t have to press hard at all to define the brow. Just gentle strokes are needed and a little really does go a long way. It also has a brow tidy brush on the end which is sooo handy. Threading: For me good, tidy eyebrows are like having a good haircut as it can really help frame the face. Having my eyebrows threaded is my number one beauty treatment and this may sound silly but I always feel better equipped and more organised to deal with the world when I’ve had my eyebrows done (maybe that’s just me though!). I have tried plucking or waxing my eyebrows but I much prefer the finished shape and neatness when I have them threaded. Major budget beauty tip# Now I’m going to let you into a little secret….I get my eyebrows threaded for only £2! So it’s definitely my most budget friendly beauty must have. I go to a place in East London, on Green Street in Upton Park*. There are a number of shops and beauty salons which offer threading on Green Street, but I tend to go to the same one which is Anju’s Beauty. It’s easy to locate you come out of Upton Park Tube station, turn left and it’s literally less than a minute away. It’s always quite busy as it’s very popular but I never have to wait long. The beauticians are very well skilled in what they do and know the natural shape eyebrow that will suit each person. I find that I only have to give minimal direction i.e. I don’t want my eyebrows to be too thin and I come out very pleased with the result. I’ve taken friends along as well and they have always been happy with the results**. So there you go a complete look for eyes within £10……not bad. Let me know what your eye make up must haves are, budget or otherwise. *Sorry this is only relevant to those living in or visiting London but threading is a very common technique now with more and more beauty salons offering this service for £3-£7. ** This is just my opinion based on personal experience and not a sponsored post.